If your manager allows it, you can see other staffs' availability for any of your shifts. 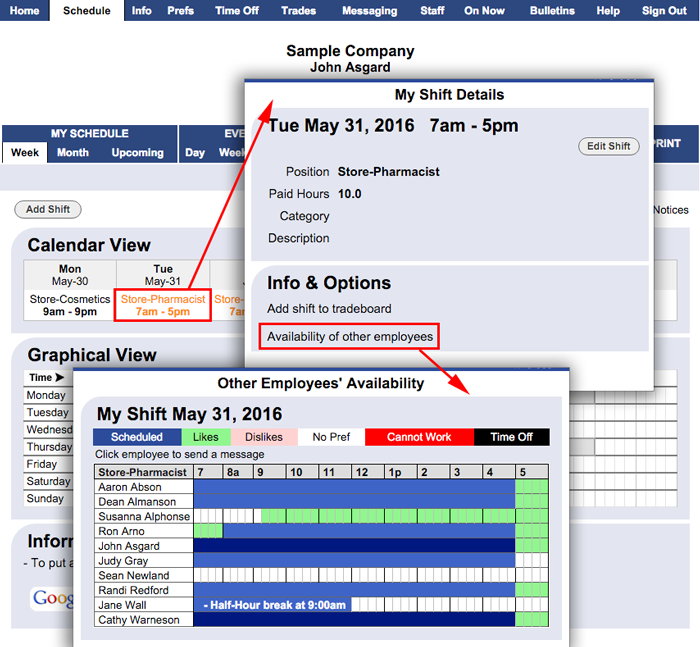 On your My Schedule page, click one of your shifts and in the bottom of the window you will see an "Availability of other Employees'" link to view who is available and scheduled during that shift. The workers that have green painted for a particular shift time indicate that they prefer to work at that time. These workers would likely be the best people to offer pickups or trades of your shift.